Vatican City, Sep 26, 2018 / 02:34 am (CNA/EWTN News).- Despite the pain and suffering they have experienced, Catholics in the Baltic states can take hope in the steadfast care of the Virgin Mary, as depicted at the Gate of Dawn in Lithuania, Pope Francis said Wednesday. Vatican City, Oct 12, 2018 / 04:01 am (CNA).- Pope Francis accepted the resignation of Washington’s Cardinal Donald Wuerl on Friday, while asking the cardinal to continue leading the Archdiocese of Washington on an interim basis until a permanent successor is appointed. Wuerl, 77, originally submitted his resignation on Nov. 12, 2015, when he turned 75 years old, as required by canon law. The pope said Friday that he had also received a Sept. 21 request from Wuerl that his resignation be accepted. 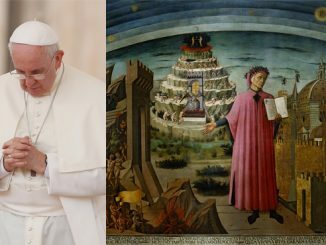 “This request rests on two pillars that have marked and continue to mark your ministry: to seek in all things the greater glory of God and to procure the good of the people entrusted to your care,” Pope Francis wrote. In the Oct. 12 letter accepting Wuerl’s resignation, Francis defended the cardinal from the widespread criticism he has faced in recent months. “Your renunciation is a sign of your availability and docility to the Spirit who continues to act in his Church,” he added. The cardinal has been the subject of criticism since late June, when revelations about alleged sexual misconduct on the part of his predecessor, Archbishop Theodore McCarrick, raised questions about what Wuerl knew about McCarrick, and how he responded to that knowledge. The Aug.14 release of a grand jury report detailing decades of abuse allegations in six Pennsylvania dioceses put under close scrutiny Wuerl’s record as Bishop of Pittsburgh, where he served from 1988 to 2006. Some cases in the report raised concerns that Wuerl had allowed priests accused of abuse to remain in ministry after allegations had been made against them. Those factors led to calls for Wuerl’s resignation and demonstrations outside of his Washington residence. After Wuerl made a trip to Rome in late August, media reports said that Pope Francis had instructed the cardinal to consult with Washington clergy about the best way forward for him and the archdiocese. In a Sept. 11 letter to DC priests written after a private meeting with them, Wuerl said that he would soon meet with the pope to discuss his future, but did not immediately state that he would ask the pope to allow him to resign. A spokesman for Wuerl confirmed to CNA Sept. 12 that the cardinal intended to formally ask Pope Francis to allow him to step down. It has been widely believed that Wuerl hoped to remain in his position at least until the fall meeting of the U.S. bishops’ conference in November. That session is expected to focus on the fallout of the recent sexual abuse crises, and Wuerl was said to want to play an active part in helping the Church respond. As apostolic administrator, Wuerl will continue to lead the day-to-day activities of the archdiocese, but will not be permitted to make any major changes. If a successor is not appointed and installed before Nov. 13, the apostolic administrator will attend the bishops’ conference annual meeting as the representative of the Archdiocese of Washington. “We believe that Cardinal Wuerl’s decision to request that the Holy Father, Pope Francis, accept the resignation he first offered years ago is a clear manifestation of his love and concern for the people of this archdiocese,” wrote Bishops Mario E. Dorsonville, Roy E. Campbell Jr., and Michael W. Fisher. A native of Pittsburgh, Penn., Wuerl studied at the Catholic University of America in Washington, D.C. and at the Pontifical Gregorian University in Rome. He was ordained a priest for the Diocese of Pittsburgh in 1966 and went on to receive a doctorate in 1974. In the 1990s Wuerl hosted the television program, “The Teaching of Christ.” He also wrote a best-selling adult catechism of the same name, and has since more than 20 other books. Wuerl was appointed an auxiliary bishop in the Archdiocese of Seattle in 1986, following a Vatican investigation into Seattle’s Archbishop Raymond Hunthausen. Wuerl was charged with special responsibility for five problem areas in the archdiocese: liturgy, the tribunal, priest formation, moral and bioethical issues in Catholic hospitals, and ministry and teaching concerning homosexuality. The appointment generated serious conflict among Hunthausen’s supporters, and Wuerl was relieved of his responsibility in 1987. He was appointed Bishop of Pittsburgh in 1988. He held this position until he was appointed in May 2006 to head the Archdiocese of Washington. He was named a cardinal by Pope Benedict XVI on Nov. 20, 2010. 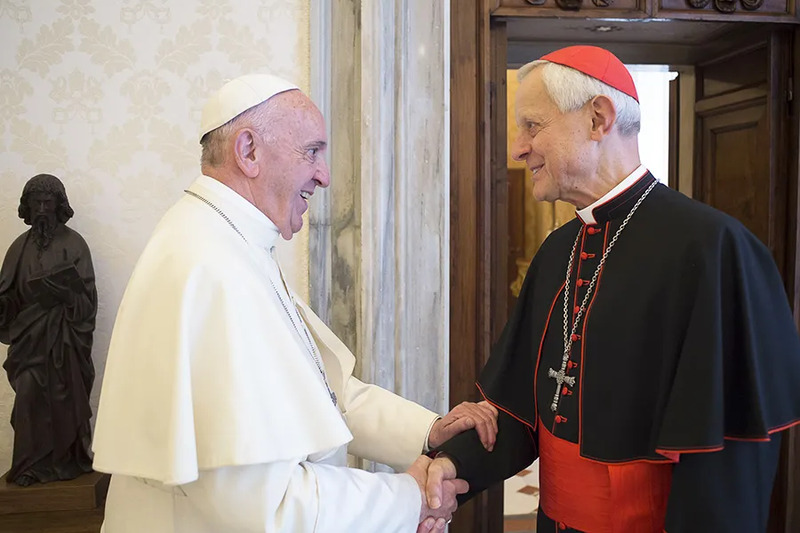 Wuerl is a member of several Vatican departments, including the Pontifical Council for Promoting Christian Unity and the Congregation for Bishops. CNA’s Courtney Grogan contributed to this report. 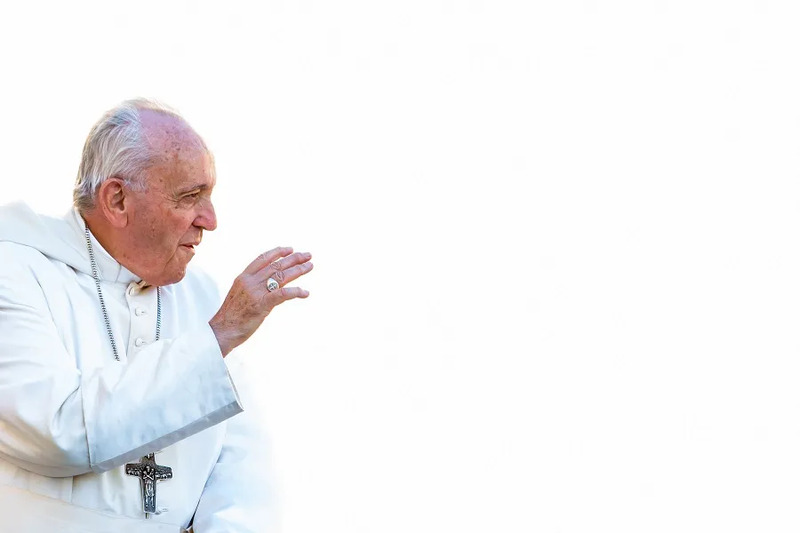 Vatican City, Mar 20, 2019 / 05:13 pm (CNA).- As Chinese President Xi Jinping travels to Rome this week, there has been much speculation as to whether his trip will also include an unofficial visit with Pope Francis. “The proclamation of the Gospel in China cannot be separated from a stance of respect, esteem, and trust toward the Chinese People and their legitimate state authorities,” Parolin wrote in his introduction to the book, The Church in China: A Future Yet to be Written, published this week to coincide with Xi’s visit to Italy. Italian media have been speculating about a possible meeting, noting that Pope Francis’ schedule does not have many appointments planned for the dates when Xi will be in Italy March 21-23. However Chinese sources have expressed that a potential meeting between the pope and the Chinese leader is unlikely. Since China severed diplomatic ties with the Holy See in 1951, a potential meeting between the pope and the Chinese leader would have to be an unofficial meeting. Xi Jinping’s visit to Italy beginning March 21 will focus on the two countries’ economic ties with the Chinese hoping to secure Italian support for their Belt and Road Initiative, which aims to expand commerce through infrastructure investments. The Chinese president will then travel to Monaco and meet with President Emmanuel Macron in Nice, France before returning March 26. The source added that the Vatican has been planning a papal trip to China for at least two years and hopes that it will take place by 2020. The Vatican-China provisional agreement, signed Sept. 22, 2018, is still confidential in nature. The deal reportedly allows the Communist government-backed Chinese Catholic Patriotic Association to choose a slate of nominees for bishop. One effect of the agreement, the Holy See recognized seven illicitly consecrated Chinese bishops and entrusted them with the leadership of Chinese dioceses. “History often forces religious matters and political issues, ecclesial themes and cultural discussions, moral questions and social drama, into inextricable knots,” Cardinal Parolin wrote. “The path of unity is not yet entirely complete and the full reconciliation between Chinese Catholics and the respective communities to which they belong remains a primary objective. It is more than ever necessary, therefore, that in China a serious path of purification of memory begin progressively,” he said.